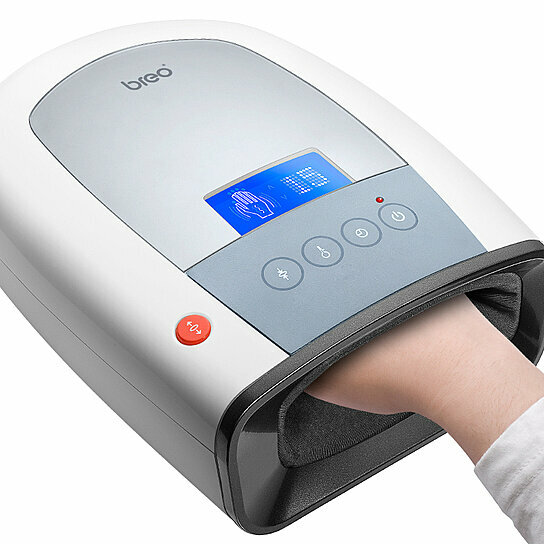 The very first of its kind, iPalm520 Hand Massager adopts air pressure and hot compress massaging technology. It massages the full range of hands, relaxes them, & brings a meridian massage experience to users. Th Air pressure massage kneads and presses acupuncture points with gently rhythm, and helps relieve tensed muscle on hands & fingers. It is light & portable, essential in both workplace and home. Enjoy comfort and relaxation - anytime, anywhere. Maximum Hand Size: L 10in x W 4.5in x H 2in.